About the Publisher and Managing Ed. Author Archives: Richard J. Reibstein, Esq. 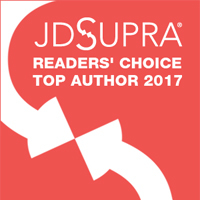 The publisher of this blog, Richard Reibstein, was named the “Top Author” in JD Supra Readers’ Choice Awards (2017) for his thought leadership on the topic of “Employer Liability” issues after being selected as a “Top Author” on this topic and on “Class Actions” in 2016. This legal blog is owned and published by lawyer Richard Reibstein as an individual and not as a member of the law firm in which he is a partner. Ever since it was launched in 2010, this has been the only legal blog in the country devoted solely to the subject of independent contractor compliance and misclassification. This blog is designed for informational and educational purposes. Each blog post contains a comprehensive analysis of a new legal development in this niche area of the law and provides the reader with one or more takeaways. The blog includes a monthly update of legal developments affecting businesses that use independent contractors as part of their business model, and a wide-ranging set of Resources/Links (below). This blog addresses issues related to the defense of misclassification claims and class actions as well as audits and investigations by the IRS and state tax and workforce agencies including unemployment and workers compensation, and enhancing compliance with federal and state labor, tax, benefits, and other laws impacting the use of independent contractors and individuals paid on a 1099 basis. Comments from readers about this blog or individual blog posts are invited. The blog contains a comprehensive set of informational and educational resources and links for businesses, consultants, and lawyers seeking materials about this emerging area of the law affecting companies in virtually every industry including those in the on-demand, gig, and sharing economy. Nothing written in this blog or in any blog post is intended to represent, or constitute, the views of any law firm with whom the publisher is associated, or any clients. No legal advice is provided on this site. This site should not be considered to be a substitute for legal advice, and it does not establish an attorney-client relationship. The author provides no warranty relating to any information published on this site. For other important and additional disclaimers, please refer to the “Terms and Conditions of Use” below.